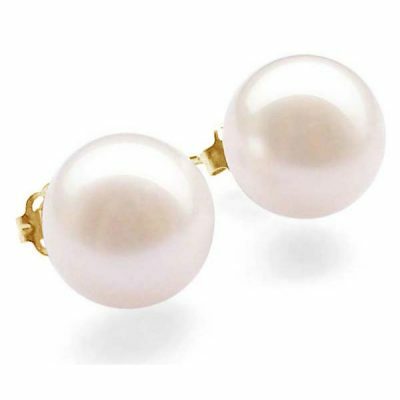 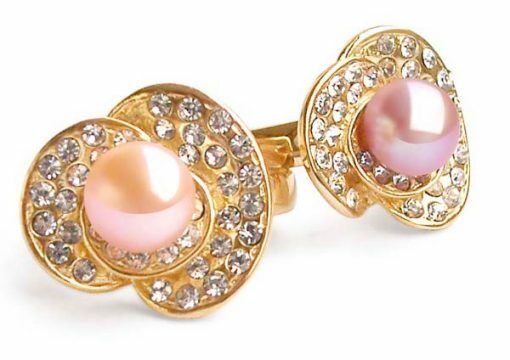 The brightness and clarity of these lab-created cubic zirconia diamonds make the beautiful button pearl set in an 18K gold overlayed setting stand out. 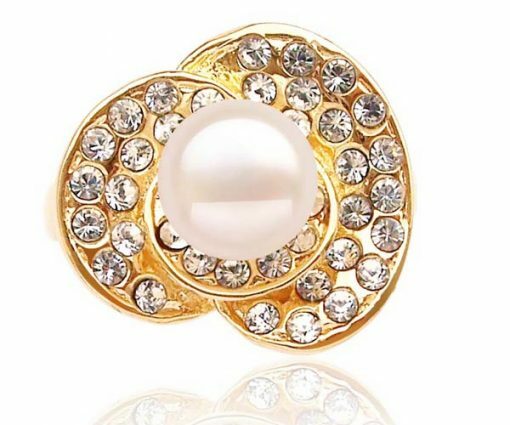 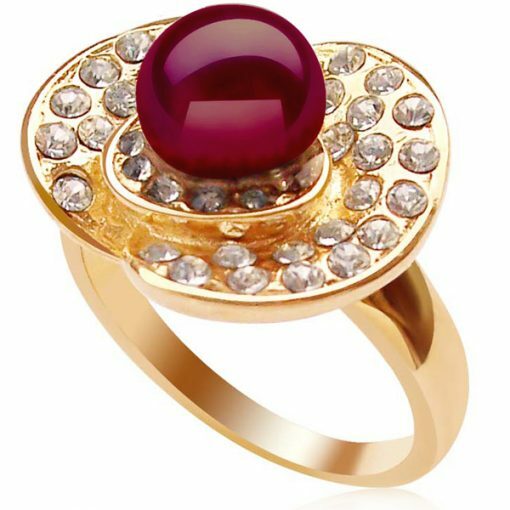 This timeless ring looks like it costs a fortune, but is actually an affordable price; a little secret you can keep to yourself! 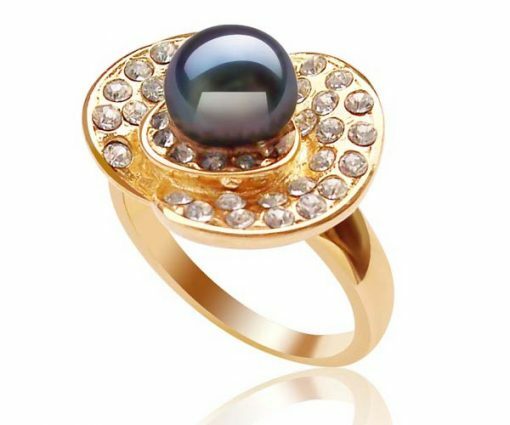 The ring is approximately 2/3″ x 2/3″ and weighs about 6 grams. 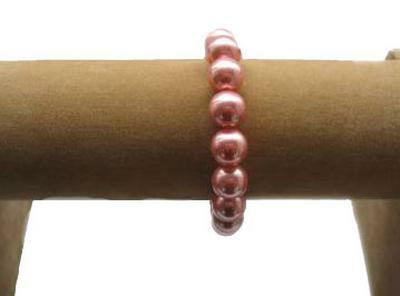 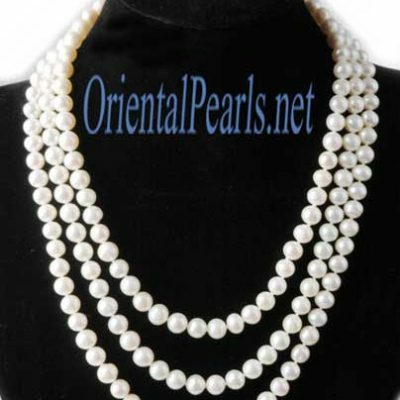 Five colors of pearls are available: white, pink, mauve, cranberry and black.